TITLE DESCRIPTION ‘I'm not proud of what's happened. Y’know, it's not within the spirit of the game.’ Steve Smith was not to know it at Cape Town on 24 March 2018, but he was addressing his last press conference as captain of the Australian cricket team. By the next day morning he would be swept from office by a tsunami of public indignation involving even the prime minister. In a unique admission, Smith confessed to condoning a policy of sandpapering the cricket ball in a Test against South Africa. He, the instigator David Warner and their agent Cameron Bancroft returned home to disgrace and to lengthy bans. The crisis plunged Australian cricket into a bout of unprecedented soul searching, with Cricket Australia yielding to demands for reviews of the cricket team and of itself to restore confidence in their ‘culture’. In Crossing the Line, Gideon Haigh conducts his own cultural review – ‘less official and far cheaper but genuinely independent’. Studying the cricket team across a decade of radical change, he finds an accident waiting to happen, and a system struggling to cope with self-created challenges, on the field and in the boardroom. 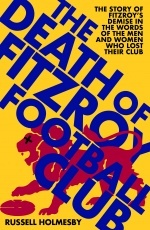 And he wonders: is there even any longer a spirit of the game to be within? 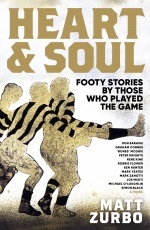 Crossing the Line is the first instalment in Slattery Media Group’s Sports Shorts collection, a new series of sports essays published as small-format books. Sports Shorts has been created as a home for ambitious, lively and engaging writing and journalism on sport—work of a scale and scope not suited to the confines of day-to-day journalism. Every instalment will illuminate or entertain, all the while fitting into your back pocket on the way to the game. 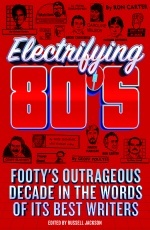 ABOUT THE AUTHOR Gideon Haigh has been a journalist for 35 years. Crossing the Line is his 37th book. He was born in London, grew up in Geelong, and now lives in Melbourne, from where he writes about cricket for The Australian, The Times and Cricketer. 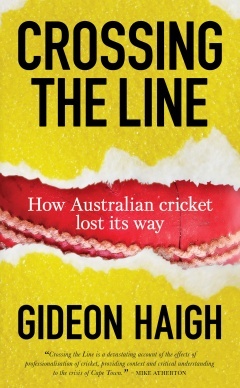 Gideon Haigh joined Adam White, Scott Gullan & Sharelle McMahon on the #RSNBreakfastClub to chat about his book Crossing the Line which takes us inside the ball tampering saga in South Africa.